The Human Resources Department assists to ensure legal compliance at all times for The Venus Project and its volunteers through ongoing communication and coordination with internal and external Legal Counsel. Develop a Global Working Environment that will allow volunteers to experience a confident, creative and collaborative environment that meets the organization’s needs while providing for personal and professional needs in regards to their unique positions. Bridge between different departments upon request or when HR itself sees it potentially beneficial to the organization. 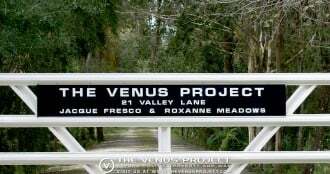 Ensure legal compliance for The Venus Project and its volunteers through coordination with internal or external lawyer(s). COMMUNICATIONS- Advanced verbal and written English-speaking skills are necessary as candidates must clearly and easily communicate and collaborate with other volunteers and teams. RESOLUTION & CONFLICT MANAGEMENT- Mediation skills are needed to be able to identify and resolve volunteer concerns as they develop. SCHEDULING- Familiarity or willingness to learn Coordinated Universal Time (UTC) for scheduling meetings. SOFTWARE- Familiarity or willingness to learn: email clients (e.g. Mozilla Thunderbird), LastPass, Adobe Sign, Trello, Skype, Google- Mail, Drive, Hangouts, Teamspeak as well as any other software needed to function within the Organization. Interested Volunteers click here for instructions on how to join.